Immersive, full-day workshop experiences for Middle and High School students. 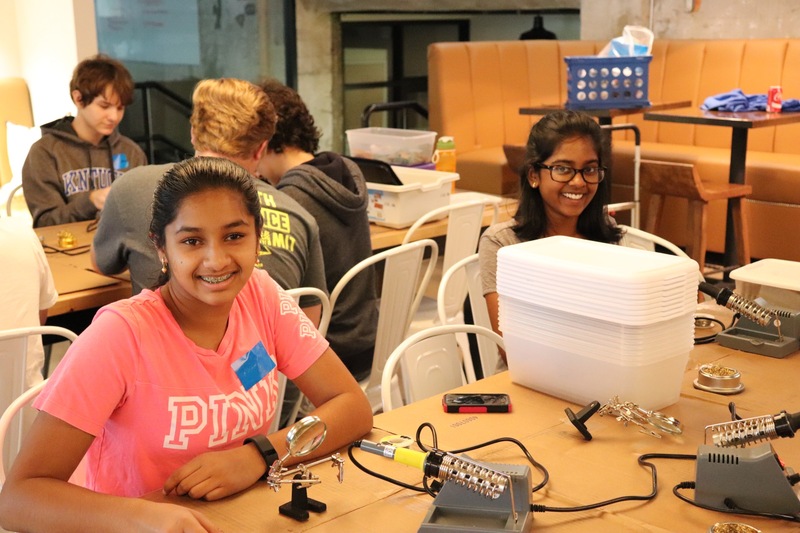 Empowering young adults in Science, Technology, Engineering, and Mathematics (STEM) fields means arming them with the tools they need to bring their ideas and voices to the table; our Youth Science Summits give teens the chance to interact with and learn from industry professionals. The 2019 Lexington Youth Science Summit at Lexmark will bring you face-to-face with STEM professionals in various fields who are working to change the world every day. Cost: $45/student. Includes breakfast, lunch, a t-shirt, and the full day’s program. It’s a full day science and technology extravaganza. Track options include Middle School, Middle School Girls in S.T.E.M., and High School. Lab Offerings (Middle School): Hands-on lab sessions ranging from 30 to 60 minutes. Labs are presented by Bluegrass-region partners or Lexmark. Reverse Science Fair (Middle School): A spin on the traditional Science Fair, youth will have an opportunity to survey research from throughout the region and meet a variety of STEM professionals. Collect swag in a conference-like setting!